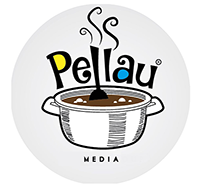 Copyright © 2007, Pellau Media LTD.
Are you “Bird Boxing” your e-commerce business? If you’re not sure what I mean by “Bird Boxing” then I’d suggest you go take a look at this popular movie on Netflix. Now that we are all caught up, what I mean is, are you running your e-commerce business with a blind fold? Do you know how many visitors you’re getting? What pages do they visit? How many are converting into paying customers? I’d like to use one of our clients, La Apparel as an example. He’s certainly not bird boxing his business! We ran some analytics last year December on his website to see exactly what was happening. We tracked visitors, checking where they got the link to visit his website, we tracked what pages they were looking at and most importantly spoke to a sample of these visitors to figure out purchasing patterns. In this case we discovered that his website was better off as marketing tool rather than a sales tool. Let’s put some perspective into this mini study. Thousands of potential customers were visiting his website but not purchasing on it. We realised that they were using it as a catalogue to browse different styles, to see what was available before going into his store to make a purchase. Now that we understand what his customers want, it’s now simple to conclude that it makes sense to ensure all in store items are on the website, but make it totally clear how to purchase in store. I’d like to reference another client if ours, Simply Fab. Her website is a sales tool, while Instagram is used for marketing. Customers upon seeing a style they like, go to her website and place orders. In this case, the site is optimised to ensure visitors can easily make a purchase. I always say business is common sense. So let’s apply some common sense into these scenarios. La Apparel sells clothes to ladies who want to see, feel and try on before they purchase. Simply Fab on the other hand sells jewelry which you see online, know what metal it’s made of and other pertinent information relating to the product. Customers in this case have no real need to see and touch. This is why the two businesses use their websites in different ways. One for marketing, the other for sales. They both make money from their website, however in slightly different ways. So what’s the take away here? By not bird boxing their businesses, these owners are able to optimise for success. If you don’t already have some sort of analytics installed on your website then I’d highly recommend Google Analytics. It’s easy and free to sign up and use and there are a plethora of plugins available for your website, some which include easy to read dashboards to analyse data. If you need help with installing even or analysis of the data Google gives, then please reach out to your Pellau Account Executive for some assistance. We’d be happy to help! Why You Should Have Never Gotten a Job? Why are Caribbean Women So Obsessed With Hair? Check in YouTube if the id UC-gxqhUye3oRXBJtgfOMstg belongs to a channelid. Check the FAQ of the plugin or send error messages to support.